The DVHH-L Mail List enjoys hearing from everyone. Many of you have discovered new names and villages to add to your trees and we encourage you to share your discoveries and brick walls with the list. Submitting your surnames and villages creates a searchable database in the List Archives for others searching the same. Look up request - What's a lookup? What's a Ortssippenbuch, Familienbuch, Heimatbuch, Ortsfamilienbuch, Bildband and Stader Book? 1: Subject Line: Place your surnames and/or villages of interest in the Subject Line. For a general posting, choose a subject matter that will correlate with your message. You can list all the others in the body of your message. See surname and village comments below. Referencing Surnames: Name changes happen for various reasons. 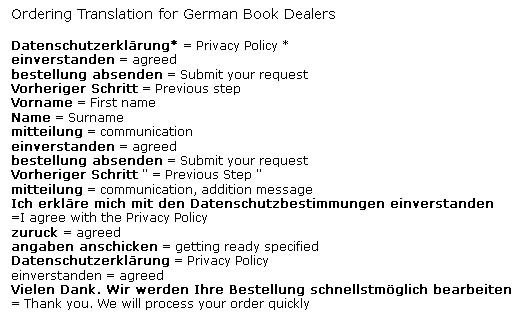 Published village family books record surnames in German, so we suggested providing the surnames prior to being Americanized or otherwise changed; because most volunteers who will conduct lookups are not familiar with all the various surname changes. Referencing Villages: Using your villages' German name variant (if known) and all other language variants will enable someone searching to find your inquiry in the archives database. The Donauschwaben Village Lists found on each regional site, providing all known language variants. These lists are updated periodically with new updates. If you do not find your village, Contact Us, provide the information and it will be added. 3: Start your own thread/message/subject: When posting your own surname roll call or general inquiry, don't tag on to a previously sent email, start a your own thread/message/subject. It is easier to spot a particular name or village in the DVHH archives as opposed to never finding it because it is hidden in unrelated messages that most likely the searcher will never open. - it went from a roll call to recipes. Request Manners a must: As a results of an inquiry, often a helpful list member will spend days researching information for an inquiry. Sometimes without even receiving a "Thank You," which is not polite. At times an inquirer will reply "Oh, I have all that information already" and/or "I just wanted to see if yours matches with mine." This is an infringement on the valuable time of the one helping and shows a lack of consideration and respect to those who go out of their way and offer their time to do a free research in your behalf. Please be specific with your request. The books are written in German and sometimes difficult to read, therefore realize the informants are not professional genealogist and are still prone to making mistakes. While your information is provided to you freely, some Lookup Informants are offered payment for time consumed in extensive searches, which is in the way of a genealogy service. The Informants are here to help you, so please don't take advantage of their time and generosity. If you request photo copies of the pages, volunteer the cost of copying and postage. You’ve been reading the list for a while – enjoying the banter between the listers and you decide it’s time to join in the fun. So you post a reply – but you receive only one or two replies. Worse yet – your post is completely ignored! Here are a few pointers so that doesn’t happen to you. You have to help them find you! A subject line than only says Help! or Can you help me may get passed right over and you will be out of luck. An Important Point: If you are responding to an existing post but are changing the topic – then change the subject line too. The post will be easier to find and easier to track later in the Archives. 1. Start with the most prominent information you already know. If the date is approximate – just say so. Saying someone lived in a town at the end of the century doesn’t give enough clues for people to know where to start looking. 2. Summarize what information you already know or tell what sites you have already searched. This alerts readers – and will stop them from spending valuable time looking up things you already know! Ex. Wife’s name: Theresia – maiden name may be Schneider or Stolcz. Arrived Ellis Island 1911 with 3 children George, Paul & Frank. Or -- I have read Ellis Island records, social security records but don’t know where else to turn. Be specific. If asking about a person: Identify when and where they lived – approx. birth date or age when they lived in the known location. This gives others a place to start. Remember the more information you give, the more opportunities other reader’s will have to identify with your family or situation. If possible include other surnames you are searching. Post a thank you to those who responded to your inquiry. The readers of this list (and others) want to help – but if they don’t receive any response from you, they may get discouraged. After all, they took the time perhaps to research and now don’t even know if you read their e-mail. You may reply just to the poster, if you feel the message is personal. However, all readers can learn from postings even those that don’t apply directly to them. Postings can alert readers to surnames, towns, and other information – even new places to look – new places you never even thought of. In the long run, it makes sense to do a Reply All because this list is meant to be an exchange of ideas between all readers. 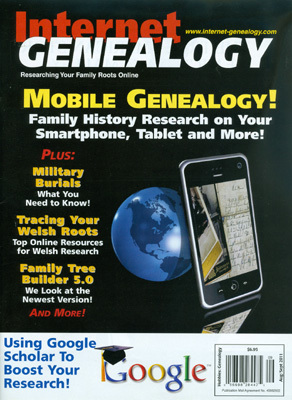 The above suggested (not mandatory) formats and tips are to help you in achieving your research goals and aid you in making connections with distant cousins and other village associates. We hope this does not discourage you in posting a message you are comfortable with. Have suggestions or additional tips, please contact us. Material that has already been published elsewhere or is protected by existing copyright shall be submitted for publication on any DVHH website only if the submitter indicates the source of the material: the title of the book it came from, the name of the author, the name of the publisher, the year and place of publication, to the extent that these are known. It is DVHH policy that any written or graphic material that was copyrighted by another individual or organization will be published on the DVHH website only if it is supported by a proper authorization to republish obtained from the owner of the copyright. For any material taken from old or out-of-print books, the submitter is requested to attempt to contact the author or publisher and obtain an authorization to republish. If the attempt is unsuccessful, the submitter must provide written evidence of the attempt. All this is necessary to comply with international copyright laws and maintain DVHH in good standing within the internet communication community.